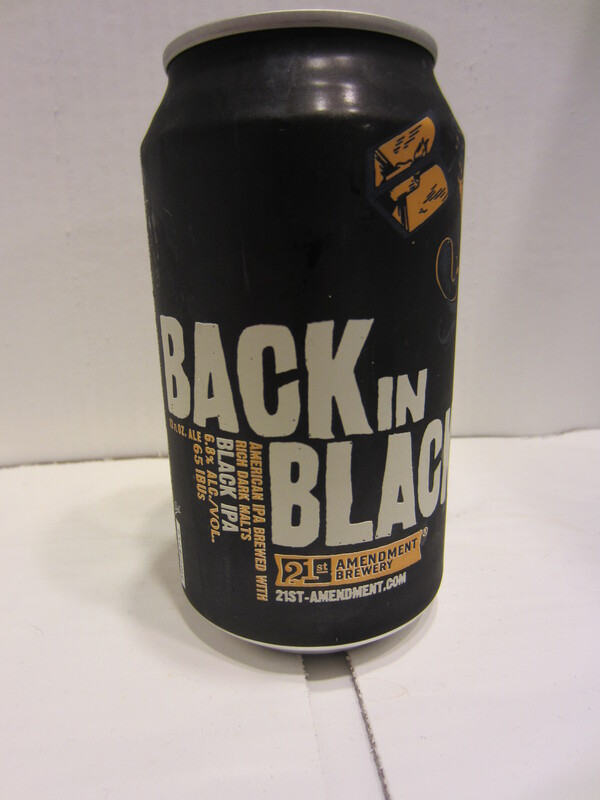 “Inspired by Paul Revere’s midnight ride, we rebelled against the British style IPA, embraced the more aggressive American version and then recast it in bold, brave, defiant black. Our Black IPA is a Declaration of Independence from the tyranny of the expected. Poured from a 12 oz can into a tulip glass. Color is nearly black, with some ruby red and light coming through around the edges (similar to a porter, or a dark cola). 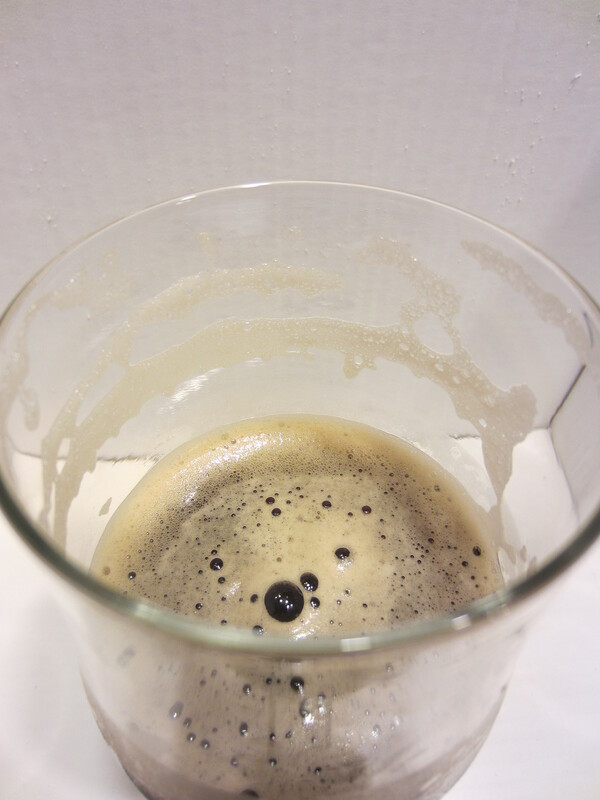 A large light tan head is poured, which leaves heavy lacing on the glass. 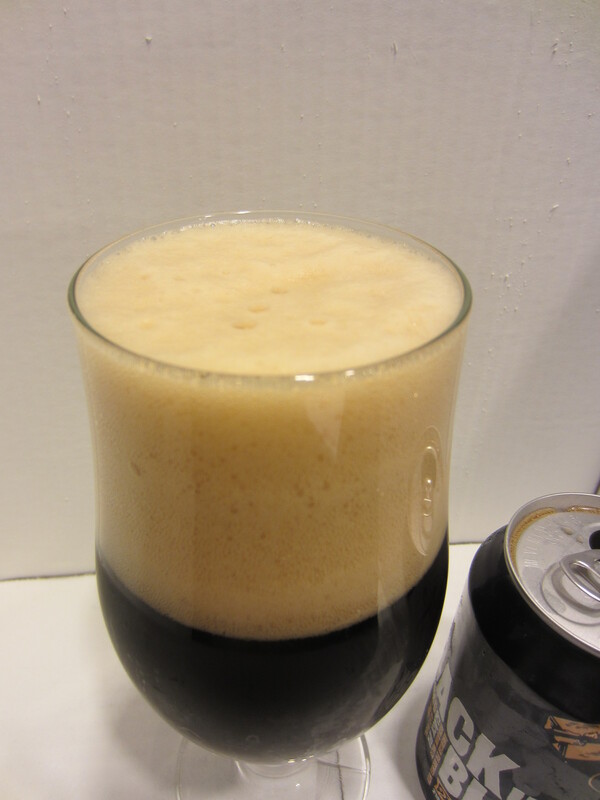 Some carbonation is visible. A very typical IPA aroma; some grapefruit/lemon citrus, some pine, and just a hint of roastiness. I also get a very faint undertone of an off-putting smell, maybe stale sock? It goes away while drinking, and wasn’t represented in the taste. Medium bodied, finishing with slightly more than moderate hop bitterness. I don’t get a very big flavor profile…just some of the hops from the nose (grapefruit/pine), and a touch or roasted malts. It finishes a little dry, with some lingering hop flavors on the palate. 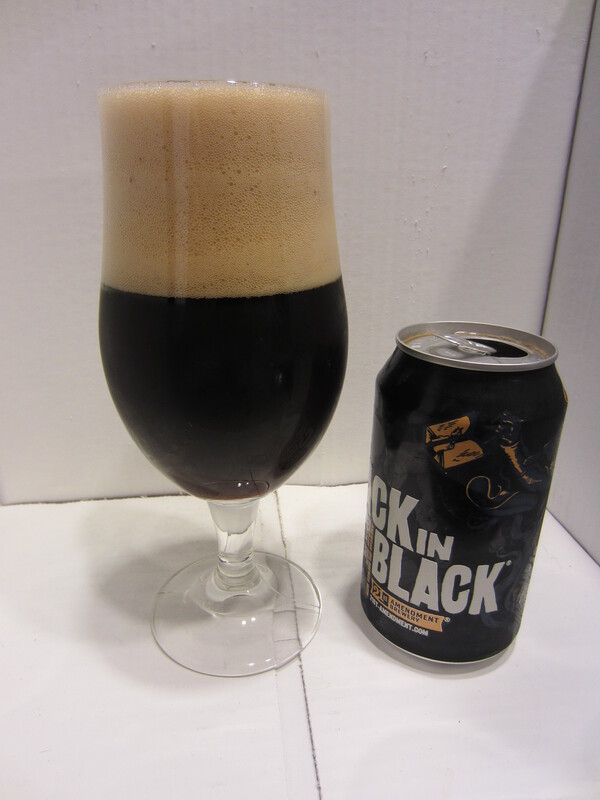 I haven’t had too many black IPA’s, and my experience with Back in Black is right in line with my past encounters. I’m not sure if I get the point of the style. The hop flavors are standard IPA, to the extent that I’m sure I couldn’t smell the difference in a blind trial. There is a little dark malt roastiness, but not enough to really balance the beer, and the hops aren’t heavy enough to really require that to be the case anyways. A niche beer for the sake of a niche beer, in my opinion. Their Brew Free or Die is a fine run of the mill IPA, and this one isn’t a whole lot different. 6/10.